For some of us, deciding whether or not to run with your phone is a no-brainer. Your phone has everything you need, right? Your running apps, ability to call in case of emergencies, music, texting, etc… I can easily see why most people run with a phone. I, however, am one of the minorities that can’t run with a phone. If you are in the same boat – read on. If you do run with a phone I offer a few words of advice at the end of the post. 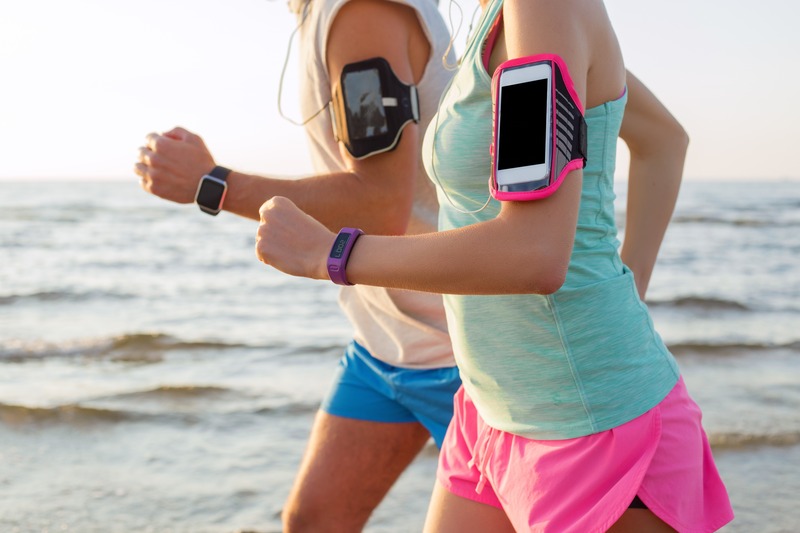 Have access to your favorite running apps for tracking location and pace. Ability to call 911 for emergencies. Take pictures on race day. Available to be contacted, especially if you have kids. Don’t have to purchase additional Watches or MP3 players. Text messages/phone calls can distract your run. Not being able to release yourself from technology. The weight of the phone is negligible, however, it still considered extra weight you are carrying. I have tried to run with a phone and I can’t-do it. The only time I will bring my phone on a run is when I am wearing a hydration pack and the phone can be slipped into one of its pockets. Otherwise, the phone stays behind. So what do I use to track my runs? Simple, I run with a GPS enabled watch and a clip-on SanDisk Sports mp3 player. The SanDisk sports model is waterproof and if you sweat a lot this will come in handy. They are both lightweight and I hardly notice that they are attached to my body. Truth be told, I can’t shake the Fitbit’s achievement system so I also run with a Fitbit One clipped next to my mp3 player. The one drawback of having multiple devices is the cost of each individual device vs a single smartphone unit with a single cost. If you do carry a smartphone, consider using an adjustable armband that can strap to your forearm or upper arm. Try to switch arms every other run or so. If you insist on holding your phone while you run. Alternate hands every 5 minutes or every mile.